Bag size: 10"(H) X 7"(W). Use: To Pack Corn and other similar product. We are one of the prominent suppliers of extensive range of sacking bags that are manufactured using high quality jute fabrics spun from high quality jute. These bags are well designed and offered in different shapes and sizes and are available at reasonable price. 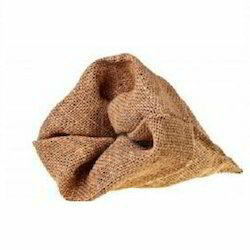 We provide complete solution of Jute Sack that are available in various sizes. These Jute Sack are designed as per the requirement of clients throughout the globe and are useful in shopping and gift carrying. These Jute Sack have salient features like high strength, excellent color & patterns and high durability. 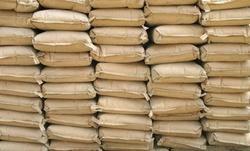 We are engaged in offering an exclusive array of Jute Bulk Bag. It is manufactured using finest quality material and as per the set industrial norms and guidelines. It is easy to carry and durable bag and ensure protection of these against moisture and dust. We offer our range at market leading prices.